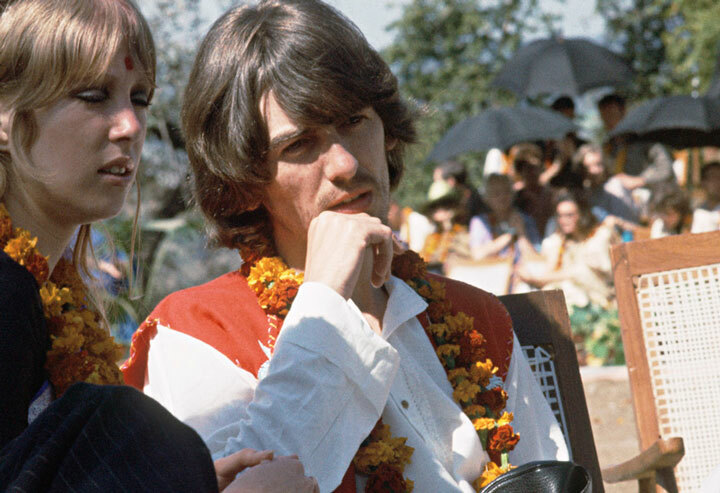 In his songs “The Inner Light” and “Within You, Without You” George Harrison was, I believe, talking about the inner journey to wholeness and true maturity, in all its multi-faceted and multi-dimensional grandeur. For me, it’s living true to the inner Self on this physical plane, this emotional plane and this spiritual plane. It’s also problem solving based in the joy paradigm, rather than the struggle paradigm; coming from love, rather than fear. It’s both a learned skill and a joyful path of discovery, and re-discovery, and sometimes it’s fearful, as stepping into the unknown can be. On this journey home, as one wise friend told me, “always go fear-ward”, with adult discernment, with commitment, with heartfulness and with the faith that you then cannot fail to arrive there, successfully. Personally speaking, I believe our primary urge is to survive, and to enjoy surviving; to survive with a maximum of happiness and a minimum of agony. It’s clear that we all have an enormous capacity to receive love and to give love, to be joyful and to share joy with others. And yet, we are constantly pushed and pulled by strong forces, exerted both by others and by ourselves, that tend to distract us from looking inward for fulfillment. Moreover, a societal paradigm exists, that happiness comes with external things: success, possessions, doing better than others–values that lead us away from an inner peace, and the feeling of oneness with creation that comes with it. An inner alienation results. And then there’s the damage almost all children inevitably suffer through less than conscious parenting–all the way from benign to brutal. Being a brilliantly adaptive species, we build shells, defenses and colored filters to protect ourselves from threatening people, emotions and conditions. It’s almost impossible to avoid this. But over the years, in looking through these filters, and living behind these walls, we usually lock out more than we protect. We think that our defenses protect us and allow us to be happy, when they actually keep us from a greater peace and joyfulness. Each day at the ashram, I found meditating took me past these defenses. By momentarily shutting out the external pushes and pulls, I could go inwards through the shells, and be alone with myself in a place of existence and renewal. Coming back from that place, I could see more clearly my own self-limiting adaptations, and the doorways that lead beyond them. And although it’s an internal thing, it’s not selfish. Knowing ourselves better we can better know others. The fewer filters we look through, the more clearly we see. The less conflicted and contracted we are within, the less we project it on others and the less we punish others. The more we can receive and feel peace, love and warmth, the more we can give. Each time I meditated, after only a few moments, whether seconds or minutes I couldn’t tell, I would become aware of myself again. I felt deeply refreshed. Calm. Self-loving. I realized that these unique moments, heretofore unknown in my then twenty-four years on the planet, were moments of my normal ego-self standing down. Taking a break. The internal dialogue suspended. And here, I accessed, for the first time in my conscious adulthood, a state of grace, a state of actual self-less-ness. The great gift of mantra-based meditation is this dropping beneath all worldly concerns, to drink from the well of pure being. Now, almost 50 years later, I know that state as Self-ness. Today, I use a different, more powerful form of meditation. It’s really about conscious reality creation, which takes me to the place, or state, where the Soul resides. To me, the Soul is limitless and finite at the same time. To consciously go there is, in my current meditation experience, to come into relationship with my higher Self and from this profoundly mature place to engage day to day worldly concerns.